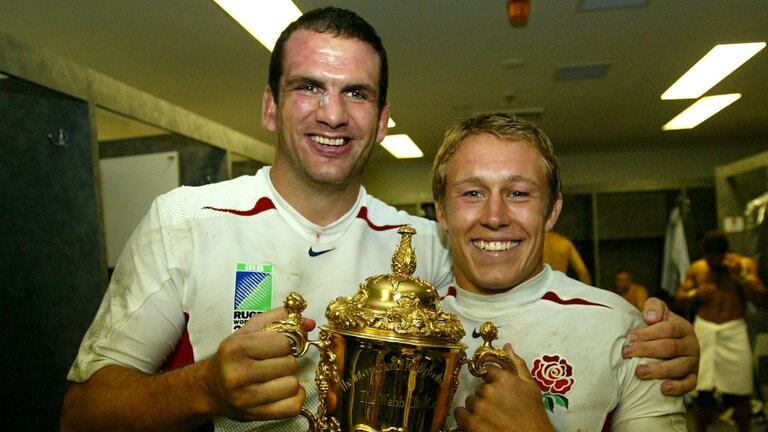 The career of arguably England’s greatest-ever player came to an end in 2005. Today he turns 42, so we thought it timely to look back at the games that made Johnson great. Top 10 worst rugby haircuts in history revealed! A young Johnson was due to take part in a Friday night B international when he was suddenly called up to Twickenham as an 11th-hour replacement for the injured Wade Dooley. This was the start of an amazing year as he’d go onto score the winning try in Leicester’s Pilkington Cup final triumph over Harlequins before playing a key part for the British Lions against New Zealand. It was the start of something special. Johnson was a surprise appointment as Lions captain ahead of emerging star Lawrence Dallaglio, who took the England reins on his return from South Africa. But coach Ian McGeechan’s choice proved an inspired one as the tourists swept to a 25-16 win in the opening Test in Cape Town. The second at Durban’s Kings Park was a classic backs-to-the-wall effort, with Johnson at the heart of a heroic forwards display. Jeremy Guscott’s winning drop-goal saw Johnson become only the second man to lead the Lions to a series win in South Africa. Leicester famously won the competition in 2001 and 2002 with a team of players who have stamped their names in the Tigers’ history books. However, the performance of Johnson in 2001 is regarded as one of the finest performances from any Tigers players in history. Stade, with the benefit of a partisan home crowd at the Parc des Princes, started the final as favourites and led 15-9 at half-time. But with Johnson urging his side on, the Tigers roared back to clinch a memorable triumph. With England defending a slender lead at Wellington’s Westpac Stadium, their hopes of a first win on New Zealand soil in over 30 years looked to be over after Lawrence Dallaglio and Neil Back were both sin-binned. But with the All Blacks awarded several scrums close to the England line, Johnson ordered his five remaining forward comrades to bravely “get down and shove”. Johnson, like all great players, delivered when the stakes were at their highest and arguably saved his best England game for last. His performance in the World Cup final was exceptional – and images of him lifting the famous Webb Ellis Cup will be shown for years and years to come. Karl Birch: Where has first phase attacking rugby gone?